Your curiosity now has its music platform. 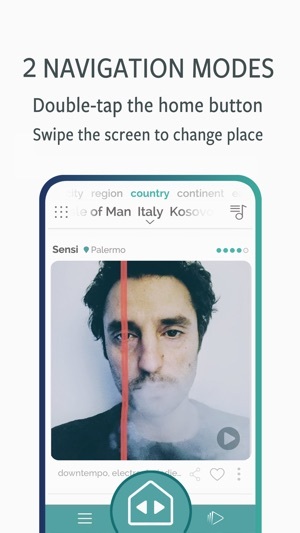 Change the way you explore music and support artists around the world with an interface truly made for discovery, with features you won’t find anywhere else. Ever wondered how to easily discover hidden musical gems? How to quickly know which local bands are rising in the Paris or New York music scene? Or who's producing great music in Canada or Oceania? Do you want a quick and easy way to know the best acts on Earth for any music genre? Do you want a quick and easy way to listen to the latest releases of any artist around the world? Do you want to help your favourite local artists be discovered by everyone else? 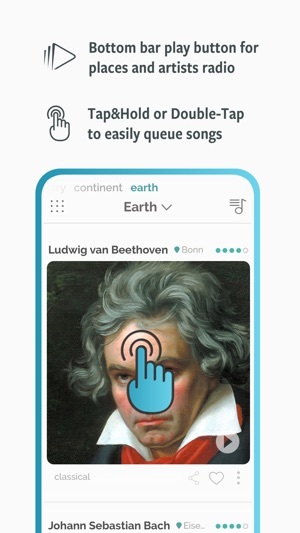 Travel through music with 5 levels of popularity, from City to Earth, so you can truly explore music from all over the world. To discover local artists, pick a city or a region or check Best of Cities or Best of Regions. 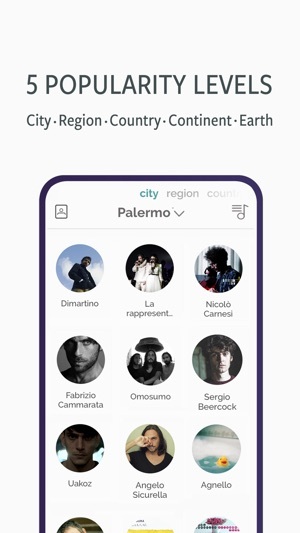 To check popular artists, pick a country, a continent or check Best of Countries and Best of Continents. To listen to the best acts in the world for any genre, check Earth level. 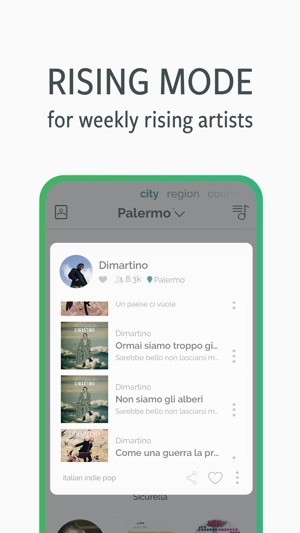 Use Rising mode to have your weekly serving of emerging artists worldwide that would otherwise be lost in a sea of music. 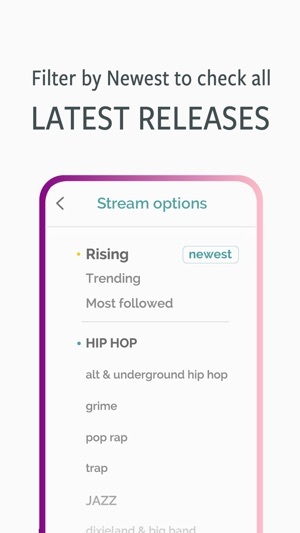 Easily listen to the latest releases by filtering by Newest. 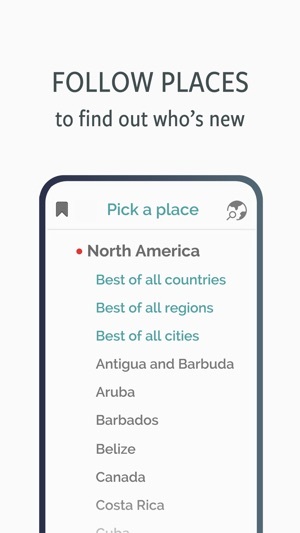 Easily change place by simply swiping the screen or select any from the top bar place picker. To make music discovery as easy as possible, the bottom bar play button will instantly create a radio for any place or artist you want. 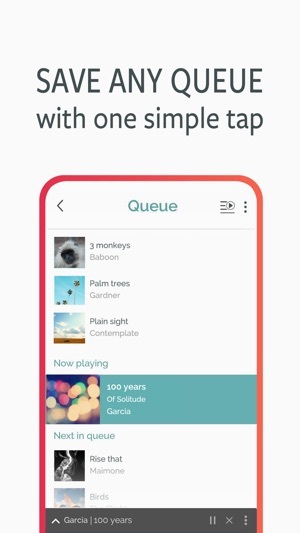 If you wish to queue a song or two from a particular artist, simply tap&hold or double-tap on their image. Use the song menu for more options. When you follow, like or listen to an artist, you help them rise to a higher level, and the higher they rise, the easier it is to discover them. 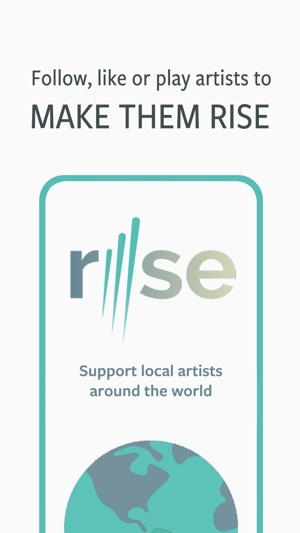 Rise is an on-going project and as such we are working to constantly enrich the artists database. We invite you to help the project by going to the website and by providing useful feedback, as well as any missing artist information that can help us adding them to Rise. 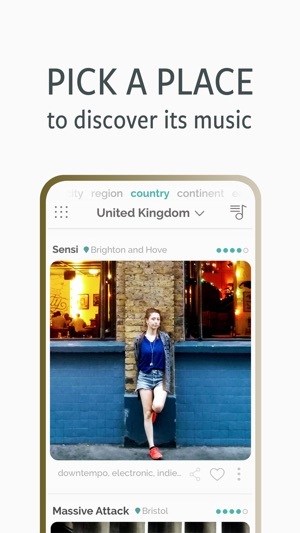 You can visit www.risemusicapp.com for more details and information about Rise and all the features it offers or to get involved in the project. Thank you for helping us improve music knowledge worldwide. Have fun exploring. NOTE: Spotify Premium users can listen to full songs. - Hundreds of music Streams from all over the world.